DAY 97. A summer with Solar is nearly over. The above video montage highlights some of the many activities we did together and the progress this great young horse made over ninety-seven days. I hope Solar and the other four ex-racehorses in the 100-Day Trainer Challenge have inspired you to celebrate off-the-track-Thoroughbreds and also make the most of your relationship with your own horse(s). 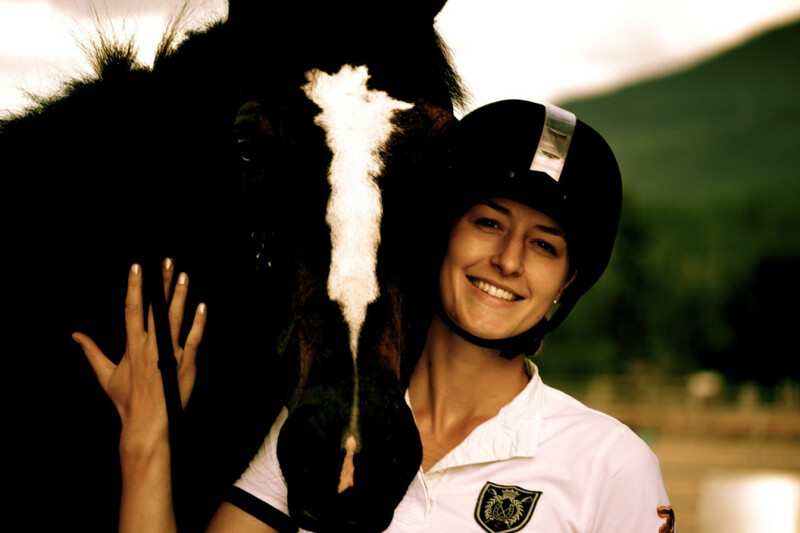 There’s nothing more important as a horseperson than to develop a safe, enjoyable, and quality relationship with your horse. It’s your relationship that sets the stage for whatever sport or discipline you want to do together. Because of this, conscientious relationship-building is foremost in all my work with horses. each way will be unique to the horse and person involved. Almost any horse (or pony!) 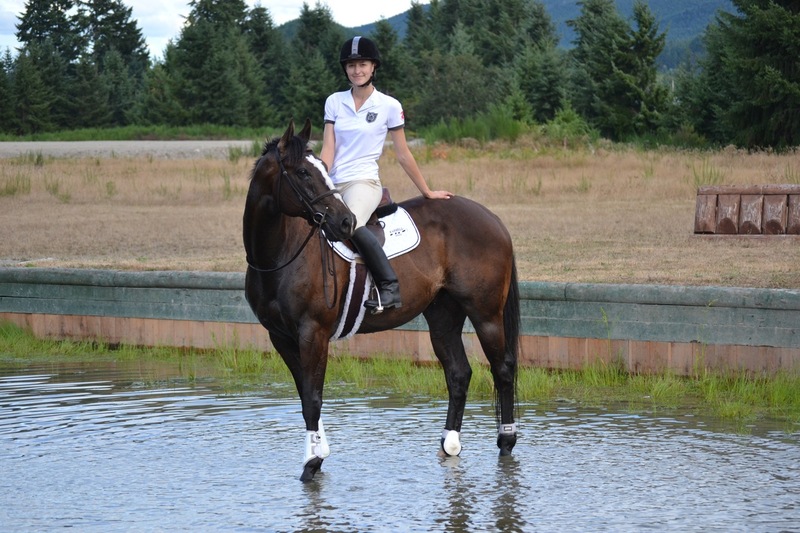 can successfully compete at the lower levels of almost any equine sport, IF they believe in and understand their rider and are mentally and physically fit to do the job. I know I can count on my horses to win ribbons jumping, perform a dressage test, go on a trail ride, or help move my friend’s cows on the weekend. A diverse training background was never a limiting factor to their success, it was a positive contributing factor to it. For these reasons, I wanted Solar to become a well-rounded equine partner above all else. One of the most charitable things we can do for ex-racehorses is to give them a solid foundation of training and care that will prepare them to face the realities of a human-dominated world. Versatile, sound, and cooperative horses are more likely to live safe, happy, productive lives. Horses that lack training, exposure, and/or “people skills” are at increased risk for ending up in bad situations. I feel good knowing that in part due to our time together, Solar has a foundation of learning that prepares him for whatever his future will hold. 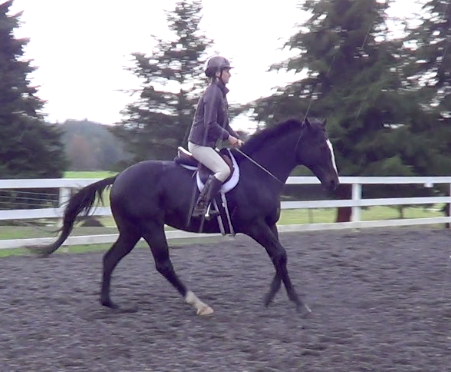 His next owner will have a willing partner and be able to finish his training in any direction. And people will always be able to find value in him. Pick wisely. I had great confidence that Solar was going to be a good fit for this program; it’s why I picked him. 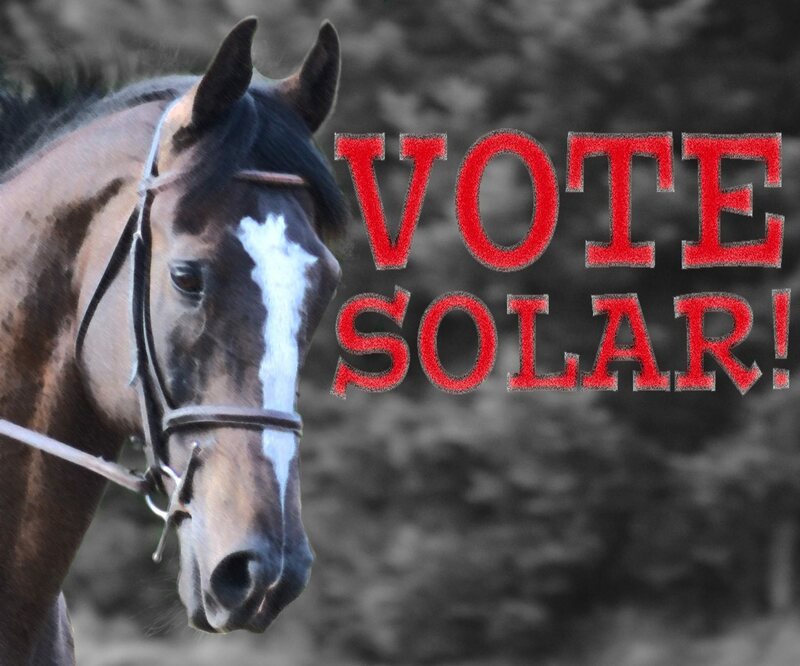 The information (albeit limited) we got about the horses during the selection process indicated that Solar was sound, healthy, well-cared for, and had had plenty of time to decompress from racing. 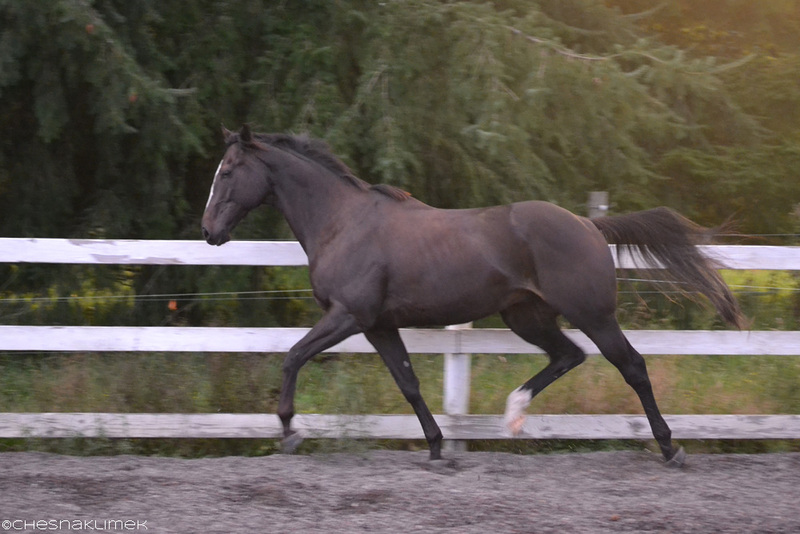 In the Emerald Downs’ video clip he was relaxed, obedient, and laid back. Everything about him seemed to suggest that he was ready to learn and grow. Certainly there were more athletic horses than Solar, or horses who appealed to my own personality more. But Solar seemed like a horse for the everyman. Meika Decher summed it up when she said, “He’s going to be a nice horse for a wide variety of people.” This type of horse is priceless. Give your time. If you give your horse time, they will give back to you the joys of being in partnership with an animal whose power, intelligence, and perspective is much different from your own. It wasn’t easy carving out time to work with Solar all summer as well as blog and post, work full-time, maintain a personal life, give my own horses the attention they need, etc. But more than anything it’s the time I gave Solar that set him up for success. Plus, it was fun! I heard a life coach once say, “time is the one resource we are all given equally.” We all have 24 hours each day. It’s up to us to use it wisely. A little goes a long way. On the first trail ride with Solar I remember how utterly confused he was by basic natural obstacles. He stood shaking at the tiniest down-bank and was completely baffled by chest-deep grass. At that time, it was hard to imagine him ever being a confident trail horse, let alone jumper. Yet, today he marches nonchalantly through and over very challenging obstacles. He enjoys trail riding and jumping, and does both with relative ease. We reached this level of confidence and skill by taking our time, and working a little each day towards improvement. Sometimes it felt like we weren’t getting far fast enough, but 97 days later, I can appreciate all the small steps that prepared Solar to get where he’s at now. Just imagine where he can be a year from now! Be yourself. It was a privilege to be selected to participate in the inaugural 100-Day Trainer Challenge with four other trainers who are respected in the equestrian community and make their professional living with horses. I know my training methods lack a certain degree of conventionalism. On my application I had a hard time even identifying my primary discipline–look in the tackroom at Nayborly Farms and you’d be hard-pressed to guess! When selected I momentarily considered trying to present a more traditional training program, but then I realized how hard and un-fun that would be; it simply wouldn’t be me! I do what I do with horses because I love it. And by loving it, I work hard for it. And love + work = success! It has been immensely rewarding to have others like the Prodigious Fund and yourself, validate my process by reading along, supporting, and sharing your own experiences and ideas. My unsolited advice then to anyone who is embarking on a journey of training or retraining: choose a good horse, dedicate time to them, take it one step at a time, be true to yourself, and enjoy the process. Happy riding!